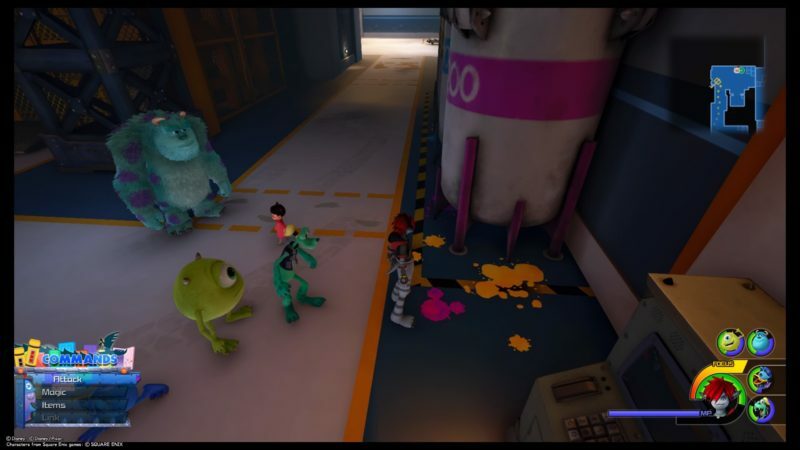 Monstropolis is most likely the fifth world in Kingdom Hearts 3 (depending on which world you go to first). 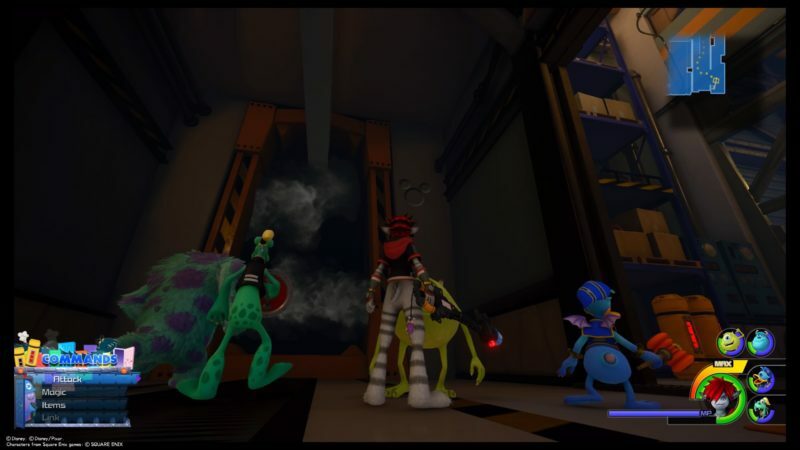 There are eleven lucky emblems in total inside Monstropolis, and some are really hard to find. 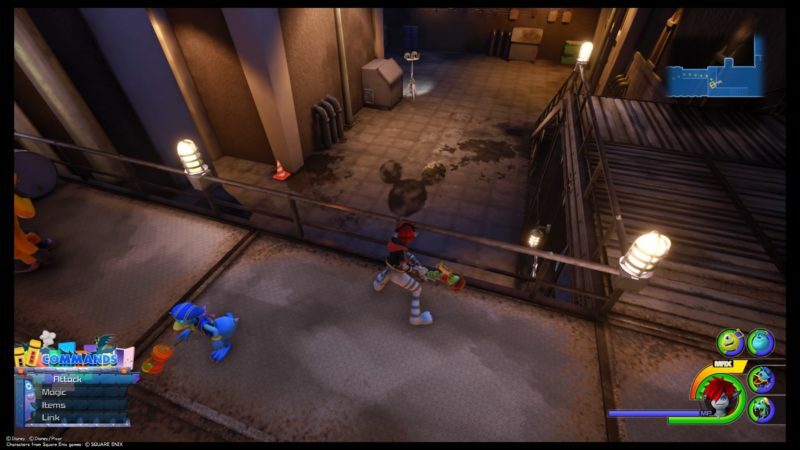 Here are all of the lucky emblem locations in Monstropolis in KH3. Here’s a list of 11 lucky emblems in this world. 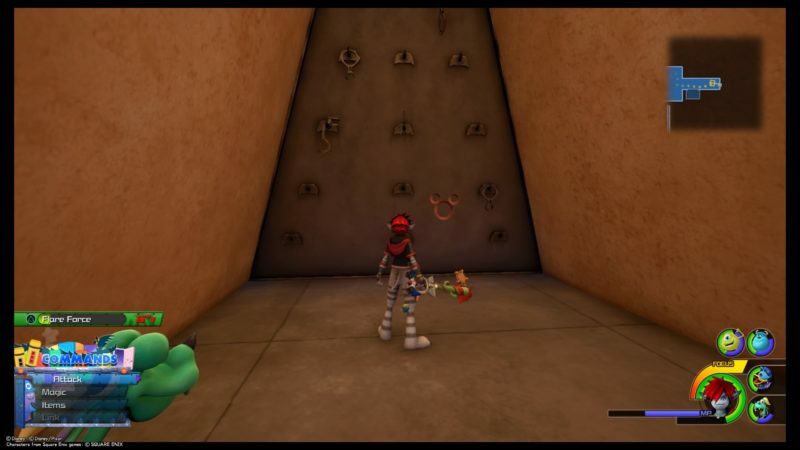 The first two emblems can be found inside the Laugh Room, which is one of the earlier places. One of it is under a figurine or toy that you can keep hitting. 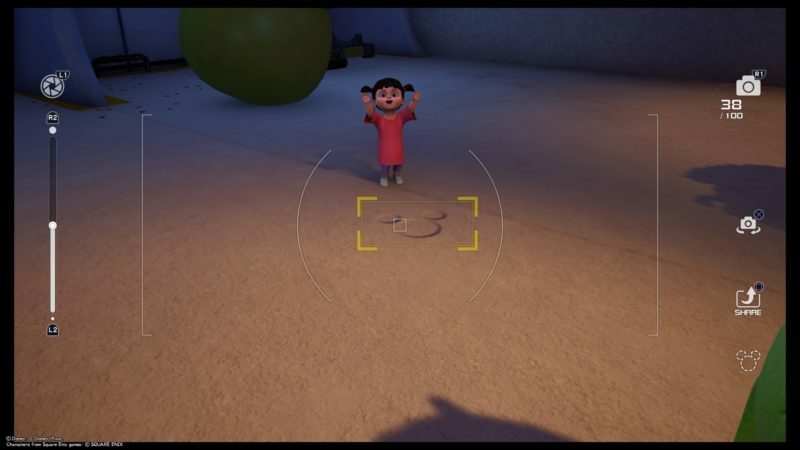 After hitting it, the toy should move away and it will reveal the lucky emblem under it. 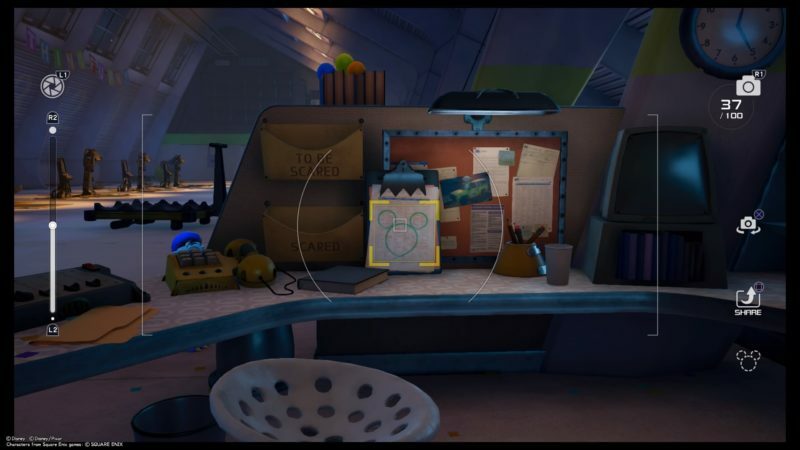 The second lucky emblem is also in the same room, at one of the desks. The lucky emblem is on a calendar or some sort of checklist. At the door warehouse area, you should see this wall which is a dead end. There’s a lucky emblem here. There is also an elevator nearby. 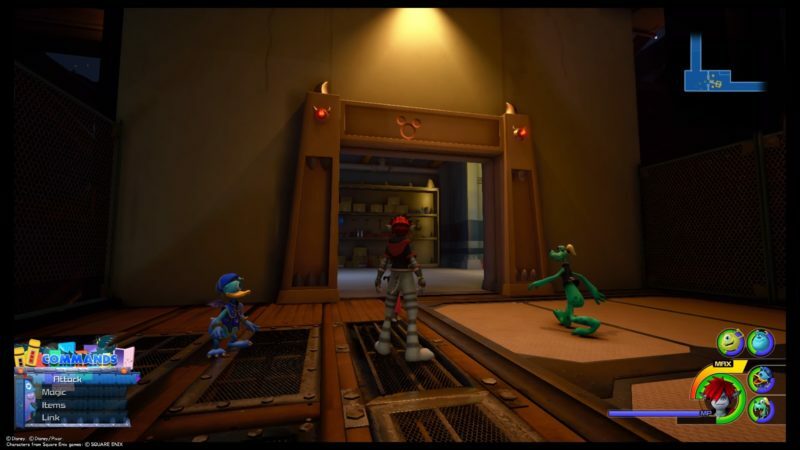 There’ll be a point where you’ll reach a single wall with doors (after or in the warehouse). On that wall, two doors can be used. One brings you back to the Laugh Room. Use the door (second from left) that leads to the Laugh Room. 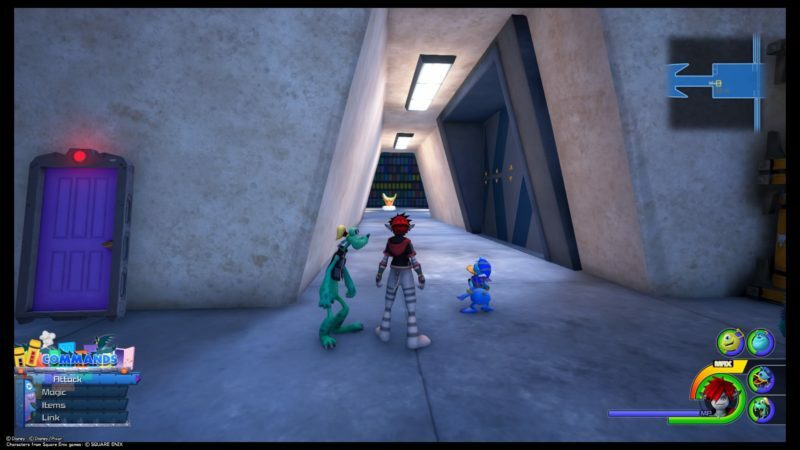 You will then reach a place (image below) where you can see a mini game (Boiiing). Walk towards it and you should see a lucky emblem formed by yellow doors from afar. It’s beside the A85 word. 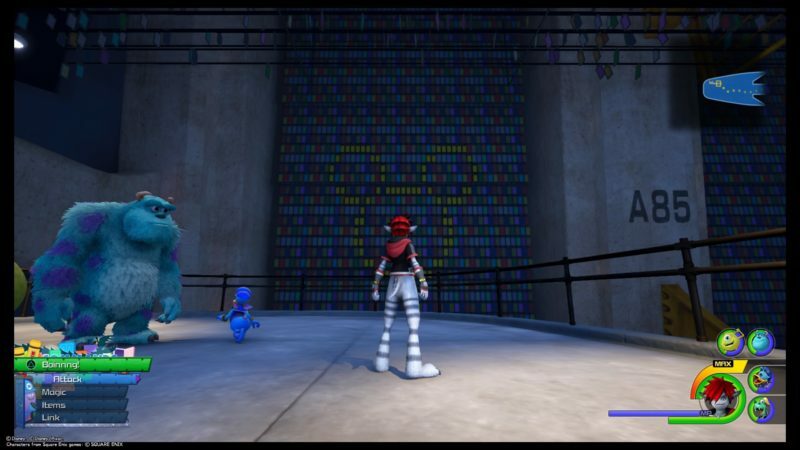 On the first floor of the Factory area, you should see this lucky emblem. Look at the radar for a better picture of where it is. The next one is easily found. Get to the area where you will see some paint spillage. One of the spillages formed a lucky emblem. It’s also the area Sulley and Mike painted themselves. Inside the factory, you will encounter the laser machines twice. Get to the second one, where you have to go up the elevator first. Keep walking through the conveyor belt area until you reach this emblem. It’s dark here, so it’s not obvious. 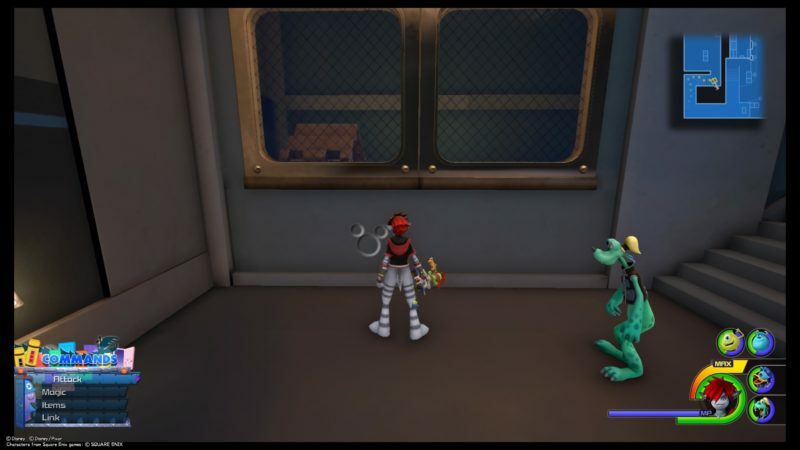 In the power room where there’s a save point nearby, look for this cupboard. There’s a blue cap beside it. The lucky emblem’s here. Further ahead from the power room, there should be a communication passage. This one is easy to miss because it’s behind you. If you follow the story and keep going forward, this lucky emblem will be behind your sight. The 10th emblem is formed by three pipes. 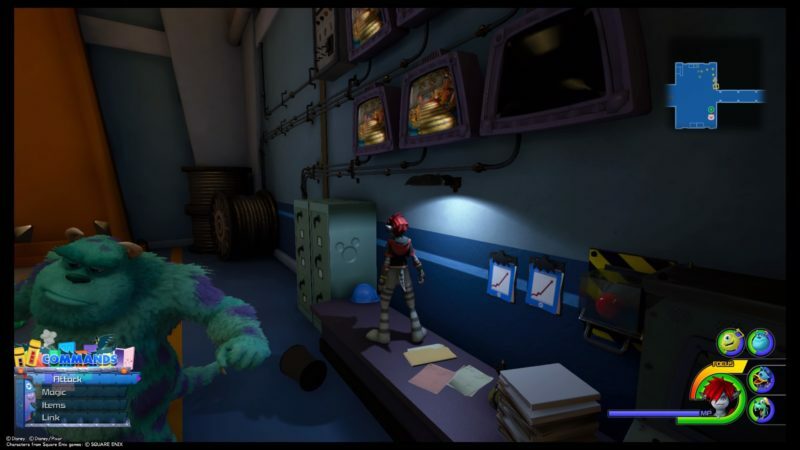 You can find it in the tank yard of the power room. Look for this CDA guy beside the blue containers. 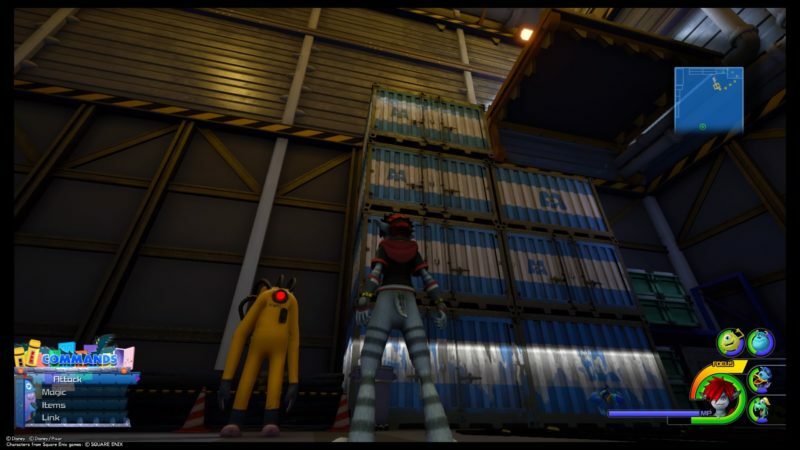 Climb up the containers. You should see this lucky emblem here. 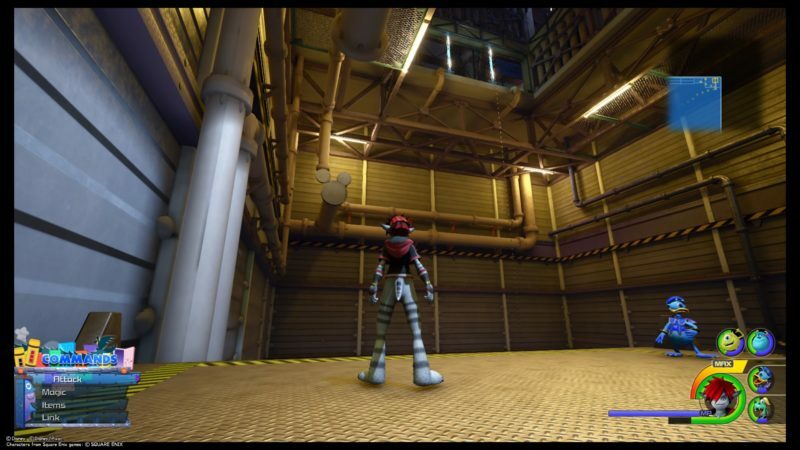 If you come from the door warehouse and are going to the power room, you should see this area. It used to be on fire during the story. If you come after you’re done with the story, you should see this oil spillage. Stand near the CDA officer and you can take a proper photo of it. And that’s about it for the lucky emblems.